Sixty-five people succumbed to H1N1 virus in the country last week, pushing the death toll due to swine flu this year to 377, according to the Union Health Ministry, while the number of those infected by it has crossed 12,000. Rajasthan reported the highest number of cases (3,508) and fatalities (127), the ministry data showed. Gujarat was placed second on the list with 71 deaths and 1,983 cases. In Delhi, seven people died while 2,278 people were infected by the virus. Punjab reported 31 deaths and 410 cases, followed by Madhya Pradesh 30 deaths and 128 cases. In Himachal Pradesh, 27 people died due to the virus and 224 were infected. Jammu and Kashmir reported 22 deaths and 293 cases; Maharashtra 17 deaths and 330 cases; and in Haryana, seven people died while 752 people were affected. The rest deaths and cases were reported from other parts of the country. 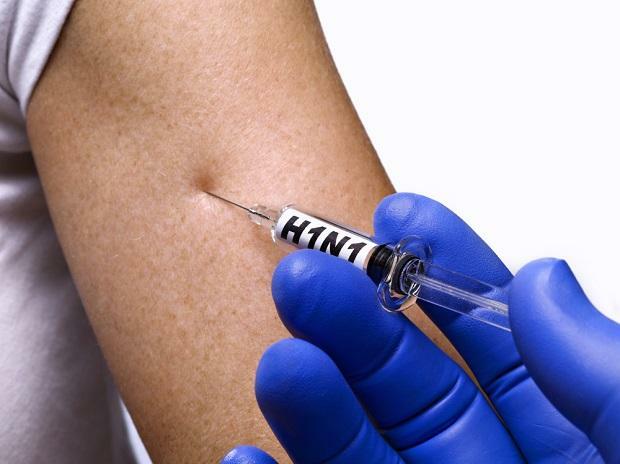 The data showed 12,191 people tested positive for H1N1 virus in the country this year till Sunday. Last year, 14,992 cases and 1,103 deaths due to the swine flu were reported. With swine flu cases rising alarmingly, the Health Ministry has asked state governments to bolster their surveillance for early detection of the disease and keep beds reserved in hospitals to deal with acute cases, which require ventilator facility. States have been advised to involve district collectors in enhancing public awareness and outbreak response and issue regular health advisories. The ministry has recommended vaccination for healthcare workers and other priority groups. The 'Dos and Don'ts' mention covering nose and mouth with disposable tissue or handkerchief when coughing or sneezing, washing hands with soap and water frequently, avoiding crowded places, maintaining isolation, drinking plenty of liquid and consulting a doctor, the health advisory states. A person should not touch the eyes, nose or mouth with unwashed hands, or hug, kiss or shake hands when greeting, or spit in public places, and dispose of used napkin or tissue paper in open areas.